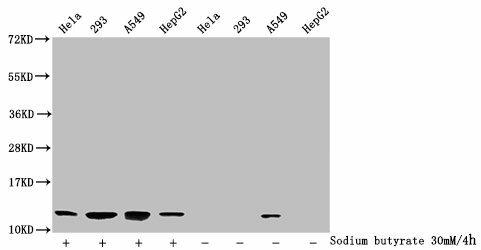 Western blot analysis of extracts from 293 cells using AMPKa1(Ab-487)Antibody. 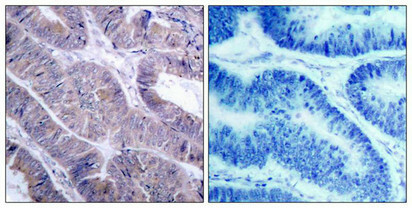 Immunohistochemical analysis of paraffin-embedded human colon carcinoma tissue using AMPKa1(Ab-487)Antibody(left) or the same antibody preincubated with blocking peptide(right). 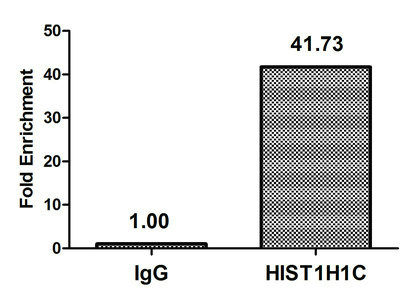 Immunogen Peptide sequence around aa.485~489 (S-G-S-V-S) derived from Human AMPKa1. 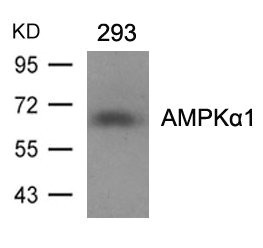 Specificity The antibody detects endogenous level of total AMPKa1 protein. 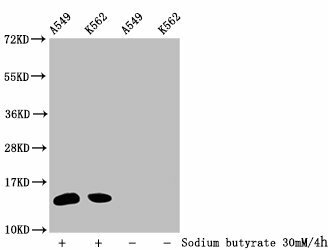 Relevance Responsible for the regulation of fatty acid synthesis by phosphorylation of acetyl-CoA carboxylase. 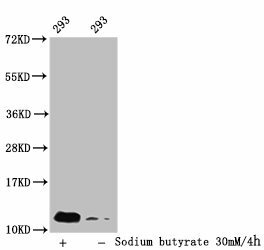 It also regulates cholesterol synthesis via phosphorylation and inactivation of hormone-sensitive lipase and hydroxymethylglutaryl-CoA reductase. 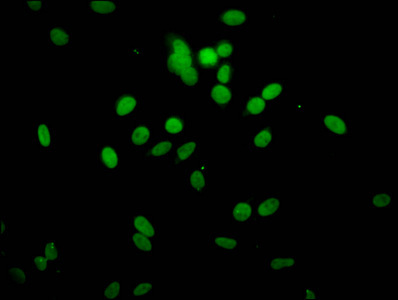 Appears to act as a metabolic stress-sensing protein kinase switching off biosynthetic pathways when cellular ATP levels are depleted and when 5'-AMP rises in response to fuel limitation and/or hypoxia. This is a catalytic subunit. Kim JE, et al. 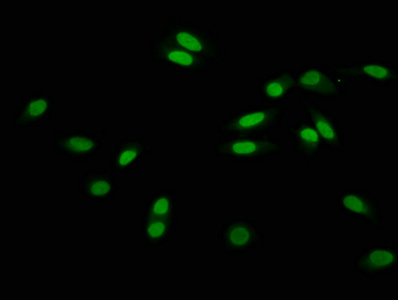 (2005) J Proteome Res. 4(4): 1339-1346. Woods A, et al. 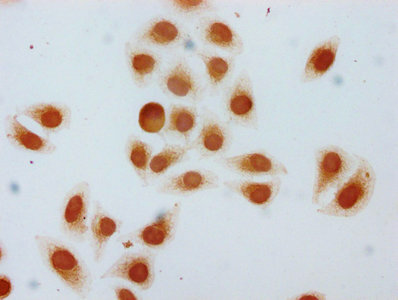 (2003) J Biol Chem. 278(31): 28434-28442.